If there’s one topic of conversation that we Brits do well it’s the weather. I wonder what on earth we would talk about if our weather was always the same. Without this subject, I fear we may never talk to our neighbours or people we meet ever again! Picture the scene, a busy Post Office, in a suburban town in the U.K.
A queue. Oh we do those well too, queues. Usually in silence and often impatiently. Avoiding eye contact and hoping that no one invades our personal space. Unspoken rules of being British, and, if you are a visitor to these shores or have made your home here then you will have possibly been on the receiving end of one of our glares or tuts of disapproval if you dared to get any of this wrong. Please accept our apologies if this has happened to you. We don’t mean to be so rude. At least I don’t think so. But you are not alone. My daughter, who has Down’s syndrome, hasn’t learnt those rules either. And I hope in some ways she never does. As we took our place in the queue, me standing and Hazel in her wheelchair with shiny bright pink wheels, waiting our turn, she pretty much broke every one of them. More silence, if there is such a thing as more silence when you already have silence. Relief that they were ahead and not behind was tangible. As we left the Post Office, our electric powered friend was already half way up the road. There was no stopping him. Though I’m sure there are plenty more barriers he will have to face in his life. As do we, but, at least for now, in her five year old world, Hazel has no idea those barriers even exist. 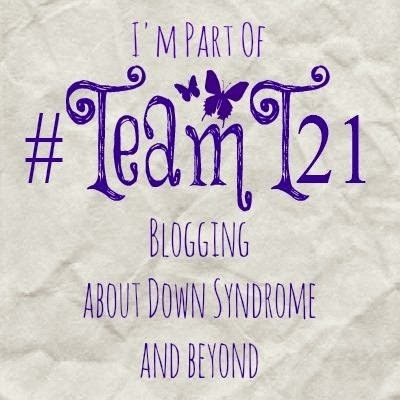 Categories: Acceptance, Down Syndrome, Down's Syndrome, Trisomy 21, Uncategorized | Tags: #communication, #downssyndrome, #downsyndrome, #fears, #friends, #morealikethandifferent, #Trisomy21 | Permalink.